Have you ever hosted a party with no preparation? Or maybe you've taken a test without studying? Tried a new recipe without reading it all the way through first? 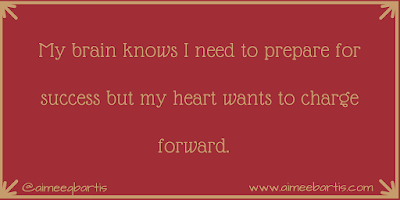 I have been in a season of waiting and preparation for a while now. God has given me a dream and a calling and I want to get this party started. But he is holding me in place. I know what I want to do but my circumstances don't allow it. I'll be honest, it's frustrating. It's disheartening at times. It's so hard not to question God in these seasons of preparation. I question my calling, "Are you sure this is what I'm supposed to do, LORD? If it is, why can't I do it yet? Why isn't everything falling into place." 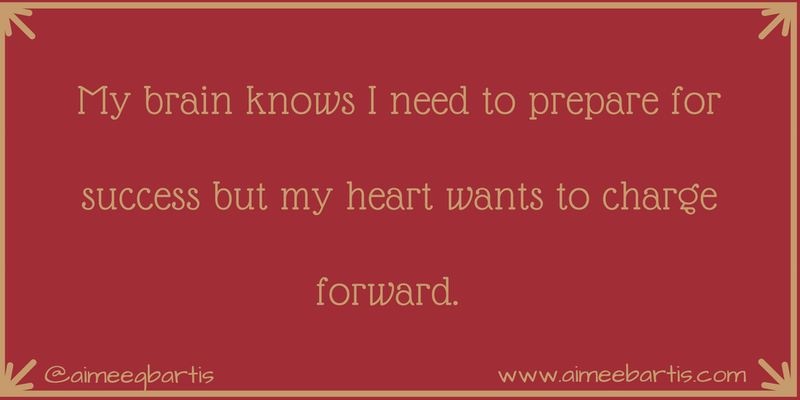 My brain knows I need to prepare for success but my heart wants to charge forward. Two verses help me wait patiently during this season of preparation. So, today I will commit my work to the LORD. I will do what he needs me to do to prepare for the next adventure He has waiting for me. I will try to listen for his promptings so that I am not charging forward without Him. Some days it's so hard to wait, boring to prepare, I want to get going. But I know that His plan is always better than mine.